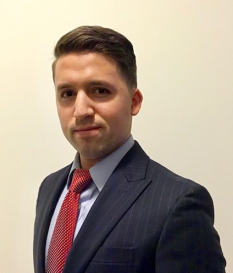 Juan Santana joined Osprey Capital Partners in 2017. Prior to joining Osprey, Mr. Santana held positions within the Technology sector working with Uber Canada, and Top Hat as an Account Executive, working on Business Development, and strategy. His focus within Osprey Capital Partners is primarily on Business Development, marketing, and supporting senior partners on transactional activities. Mr. Santana has gained significant knowledge of various industries through his work. Mr. Santana holds a Bachelor of Commerce degree with a focus on Finance from Ted Rogers School of Management. He has also completed his Canadian Securities Course in 2016 from the Canadian Securities Institute.